Malt and Pepper: À la bière!? Years back we put up our tent on a camp site in Brittany, France. And, as long as you keep French dining times) you end up doing this dishes with the French, chatting about, obviously, food. We had just thrown away the mussel shells in the bin, so their conclusion was easy; 'Des moules?' Yes. "Ah, magnifique. À la crème? Au vin blanc? A l'Italienne? Marinière?" "Non, à la bière". A plastic coffee cup hit the floor, and all present went silent. "À quoi!?". We spent some time convincing all present how delicious beer can make mussels. And not only mussels, but most shellfish - clams, cockles, razor clams, winkles - it all works. A bit of leek, carrot, onion, garlic and a beer. 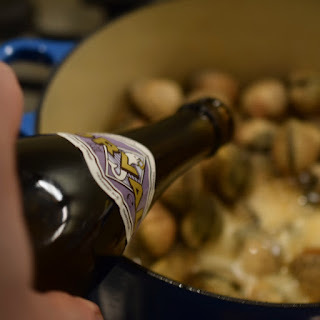 The type of beer isn't even that important - although I di prefer blonds (for this anyway), but a stout also works fine for the more robust mussels. Basically, everything but sweet or caramel flavours are fine. 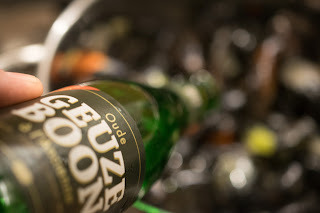 Sour beers are an obvious choice, although the acidity disappears. This used to surprise me, until somebody reminded me what the shells are made of - right, calcium. Right, so, mussels and beer. Or rather - shellfish and beer. The base recipe is the same for all. 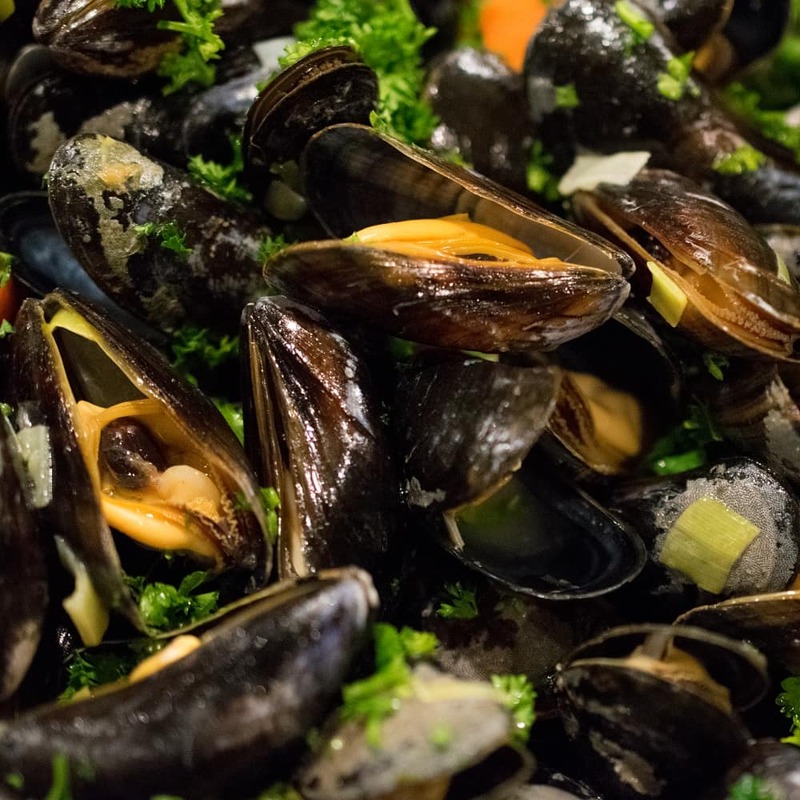 Check and clean the shellfish (are the shells broken or open and do they not close, even after some tapping or some time in cold water? Discard them). Fry the onion, carrot, leek and garlic with the chili flakes in some oil or butter until translucent. Add the beer and bring to boil. Add salt and pepper and cook until the veggies soften. Add the shellfish and stir well. Put the lid on and cook for a minute or too before stirring well. Repeat this until all shells are opened and the shellfish is cooked to your liking - this won't take long, I usually need 5-8 minutes. Add the parsley and, if you want (you do), add a nob of butter. Stir again and serve with bread and/or fries - and the beer you made it with of course. As for the French - they came by a day or two later. They had tried our suggestion using beer and - "incroyable" - it was great! They were still a bit shaken about the whole thing. "À la bière..." I heard one of the muttering, walking away.